Apply to DVLA using a D1 licence application form from the Post Office or download one from the DVLA website. If you voluntarily sent your licence back to DVLA, the surrender form states that: “I understand that I may apply for the reinstatement of my driving entitlement when I am able to meet the medical standards for driving”. Discuss this with your doctors and if they agree that you meet the medical standards ask for a letter of support to send to DVLA with an application for your licence to be reinstated. Apply using a D1 licence application form (available from the post office or from the DVLA website: https://www.gov.uk/browse/driving/driving-licences). Your doctor may suggest that an independent driving assessment is needed before getting back on the road, this is sensible advice as it will make sure that you are fit to drive and allow you to get advice about any restrictions to the types of vehicle you can drive (automatic transmission may be required) or if any modified controls are required. 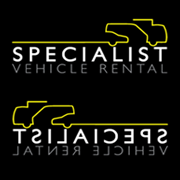 If you voluntarily surrendered your licence an in-car assessment will be permitted once DVLA receive the valid application for your licence to be reinstated, DVLA should confirm this in writing. The letter of support from your doctor should state if a driving assessment is being proposed and that a copy of the assessment report will be sent to DVLA. Following assessment a short course of driving tuition may be required, this may take the form of refresher tuition or familiarisation lessons may be needed if you are using modified controls. If your licence was revoked or refused by DVLA on medical grounds, you should apply in the same way and are also advised to discuss driving with your doctor to ensure you meet the medical standards for driving. Following a compulsory revocation you must wait for your licence to be re-issued before you are permitted to drive; a practical driving assessment also cannot take place until the licence has been re-issued.